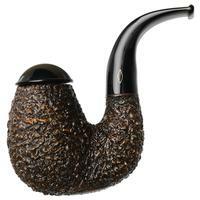 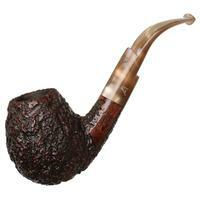 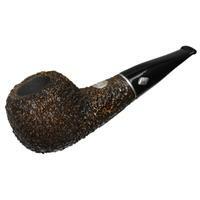 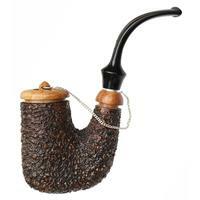 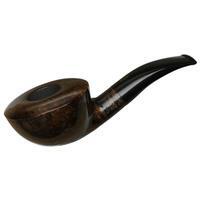 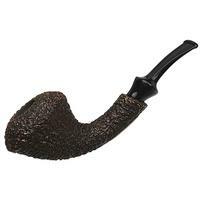 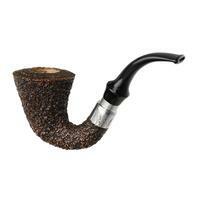 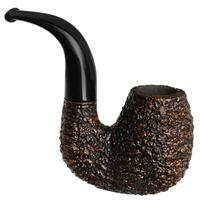 This pipe from Brebbia presents an interesting combination of shaping, combining the deeply rounded bowl of an Egg with a deep Oom Paul style of bend. 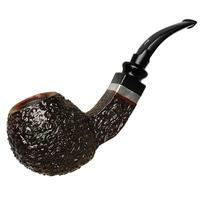 It's been finished in the dark Rocciata rustication, with plenty of craggy texture in hand, and comes complete with its own cap. 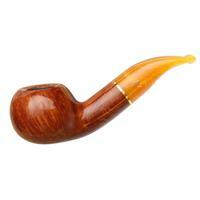 Chamber Depth: 1.90 in./48.26 mm.